On June 23rd, 2014, John Rehm passed away. Though it has been two years, I still think of him often. He was a mentor and friend who died much too young and much too painfully. Please join me in remembering him via this post from back then. Too many people don’t know who John Rehm was and that’s a great pity. Not that he ever sought the limelight — he was a humble, gracious man who preferred to stay in the shadows and support those who knew how to shine best. He was many things: a D.C. insider, an attorney, an author, a husband and father. He was genius bright with a razor wit and self-deprecating humor. Most of all he was a really good man. I fell into a teeny sliver of his life, but that sliver will stay with me forever. One day my husband called me from work. “The employees have been invited to go to the Freer Gallery at lunchtime, would you like to come?” I adore art, so my answer was an immediate yes. I wasn’t an employee, so I figured I’d hang back at the edge of the group and try to blend in. That office was huge, surely there’d be a crowd. The crowd turned out to be just three people: John, my husband, and myself. I remember him turning toward me with a sparkle in his gentle eyes, not caring whether or not I came from the office, just glad I was there. This was the first of many lunchtime art sojourns we took with John. On that first trip, he brought us into an enormous room filled with books and scrolls. At first glance, it looked as much modern art does — odd, pretentious — is it really art? John never lectured to us. Instead, he started asking questions. Through his Socratic method of teaching, we learned Xu Bing, the artist, was a victim of Mao’s Cultural Revolution. How, at that time, while still in exile, he’d created over one thousand imitation Chinese characters to get the viewer to understand his point — that all the little red books in the world, even when stacked end to end, would never have real meaning. 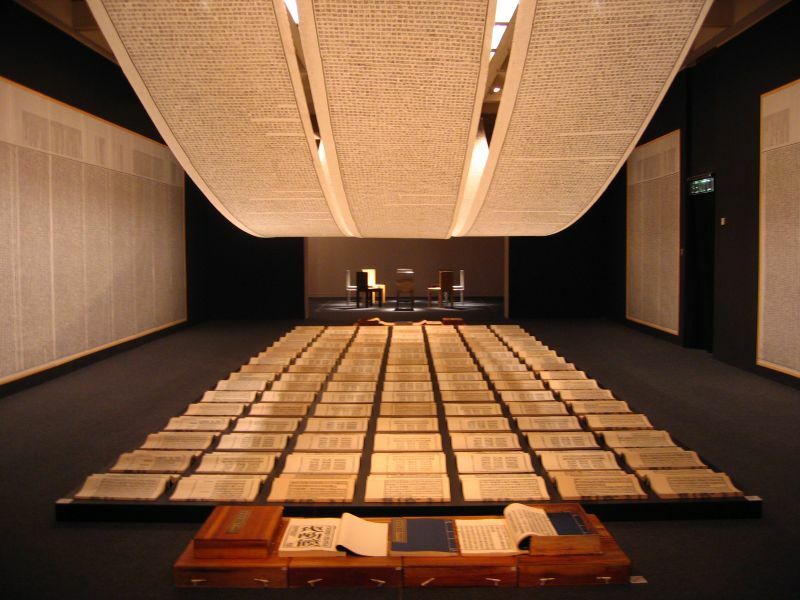 The message of his installation, Book From the Sky, extended past his own political struggles: No matter how dedicated the writer, humans still struggle with communication and understanding. It was one of those “ah ha” moments. I stayed long after the lunch hour ended, mesmerized by what I’d seen and learned. 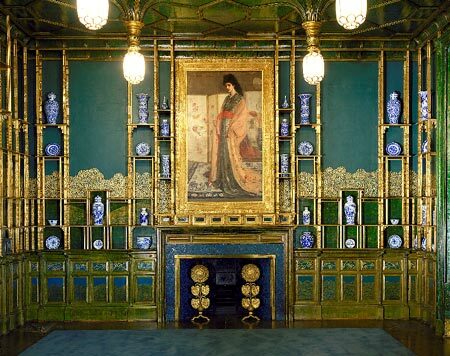 On other museum forays I learned about the Peacock Room and how Whistler painted insults into his design, depicting his patron as miserly. Keep reading by clicking HERE. Nice to see this again, Diana. Someone who meant so much to you can never truly be gone.